Saif Ali Khan wants to cash in on Taimur’s popularity? Home / Entertainment / Bollywood / Saif Ali Khan wants to cash in on Taimur’s popularity? Taimur, the two-year-old son of Bollywood actors Saif Ali Khan and Kareena Kapoor, is no less popular than his famous parents. 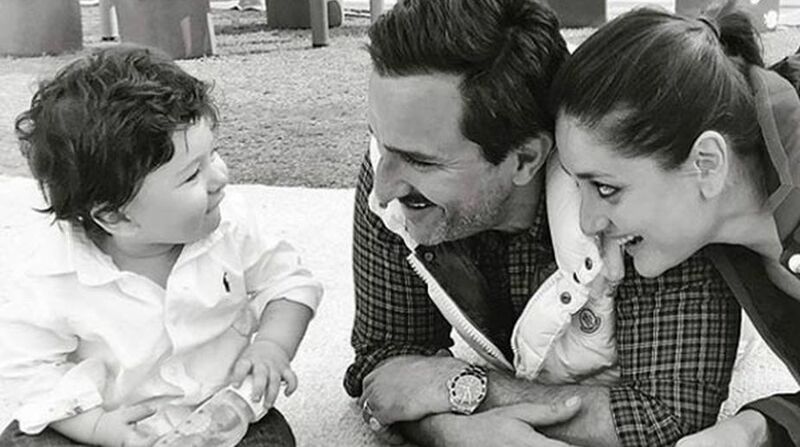 Taimur, the two-year-old son of Bollywood actors Saif Ali Khan and Kareena Kapoor, is no less popular than his famous parents. The toddler, who has emerged an internet obsession, probably has more paparazzi eagerly waiting for a picture than the established celebrities of the entertainment industry. Recently, while promoting his film Bazaar, Saif Ali Khan revealed how film producers want to use his son to promote their films. However, the actor who seems ‘keen’ to try this marketing strategy said Kareena was strictly opposed to it. Kareena Kapoor Khan, who doesn’t sound quite convinced with the promotional gimmicks, told the actor not to be “so cheap”. “Every producer I am working with half-jokingly says, “Haha can we put him (for promotions)”. With white in his hair (referring to his look from Baazaar). With Kaalakaandi, they wanted to put rubber bands. In hunter they want to put that Naga Sadhu wig on this poor guy. My wife (Kareena Kapoor Khan) says, ‘Don’t be so cheap. You can’t sell your son (Taimur).’ I am like, ‘Why not? Let’s sell him.’ Seriously yaar, he is anyway there on the internet. I am just using this platform to say if anybody has any good nappy ads or anything… at a very reasonable price…it’s not reasonable, it’s quite expensive actually. And, I won’t give him the money also. I’ll give him some cash for his education, I am already giving it to him. And I’ll spend the rest!” he said in the interview. Earlier, in an interview to IANS, Saif had talked about the growing obsession of people for his son, Taimur. “Media’s constant attention to him does not really bother me, but it would be better if it was not there. If the media likes it, people like it, I am okay with it; but I won’t be interested in someone else’s kids so much,” the actor said.